I would never buy this again nor recommend it. It smells like very weak cinnamon tea. Nothing pleasant about it at all. Bottle would make a very good (heavy) weapon, though. Warm, sweet and aromatic, pepper, tobacco and wood, very elegant and masculine also unique and different, does not have great sillage is very intimate, even so it is great. I don't want to smell like this. Herbal tea is meant to be sipped, not worn. I'd love to give this is a 5, and the scent itself (the tea! the tea!) warrants it, but it was a skin scent on me almost from word go. I wasn't expecting a scent bomb, but I wasn't expecting it to be quite this weak either. That being said, if you're looking for something that is a very subtle, a little spicy, and definitely unique, this is worth considering. Pleasant, unoffensive, and comforting. It has a slight Christmas smell to me with the tea and cinnamon. Apparently I'm among those who get a pronounced dill note with this fragrance. Not what I want to smell like, personally. Pickles. Have to pass despite all the positive reviews on this. Try a sample first before buying a full size. 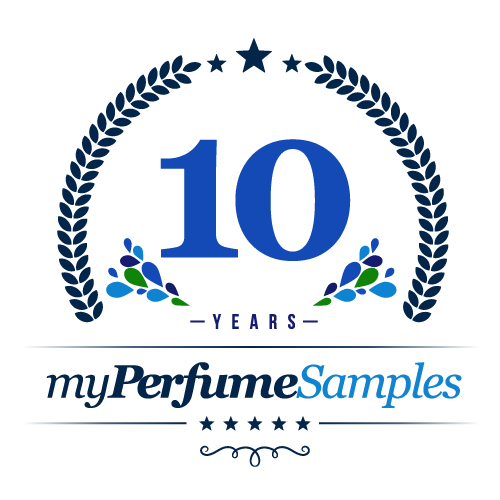 Thanks to My Perfume Samples! Smells just like cinnamon tea, nice inoffensive scent. Has some spice to it. To me, it smells like Christmas (figs). I like it though. It's soft and has semi sweetness, semi spice, and semi freshness to it. Will be adding to the regular usage pile! I found this scent to be a strange mix. Did not enjoy at all. If I could describe it in one word, it would be "elegant". Or "relaxing". It is definitely both though. It smells really classy and manly and sticks close to you. In this case I think the low projection is actually a good thing. After much exploring, this is the 1st sample that I decided to buy the full bottle of, so that tells you what I think of this! Something about this cologne is perfect to me. You find yourself intoxicated by your own cologne all day long. Quite strong. Bought this years ago when it first came out and just bought some more. This one is primarily tea leaf, cinnamon, violet leaf, and tobacco. For me, it's just an okay scent because it doesn't wow me. Also, the performance seems on the weak side. This scent holds a special place in my heart for personal reasons. Besides that it's just such a comforting scent. Yes it doesn't last for ever but the smooth tea and cinnamon is just relaxing. One of my all time favorites. This is scent is so nice. Soft, even kind of feminine. I almost smell some flowers, maybe it's the violet leaf. in my skin i really get the tea and tobacco , and i think for me at least the only way to pass the tobacco is if the tea note keeps blending with it. but in my case tobacco overcomes and leaves all the rest behind. i had high hopes for this one but i guess its a nay. This surprised me. I ordered a sample of this with a couple of heavy, known compliment getters and this came out on top as far as my personal liking. A sweet, non-offensive tea scent; incredibly pleasant. To be honest I can't fathom people being offended or annoyed at this fragrance. The scent is lovely and green. Unfortunately I only get about 2-3 hours out of it with no projection. A little light and calming (due to the tea) at first and then a little spicy (cinnamon). This subtle scent is great for when you'll be close to people. I smell the tea and tobacco first. Has kind of an average wood/water smell.